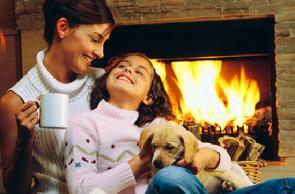 Learn more about your heating system! Working in the office of a heating company gives you plenty of face time with frustrated customers. What I've found is that most homeowners are frustrated because they are simply kept in the dark about their heating system and their options when replacing a furnace, adding on air conditioning, or choosing accessories for their duct system. They are at the mercy of contractors everywhere bombarding them with different opinions, different "facts" and statistics. Who do you believe? I began writing articles a few years ago on subjects that seem to come up often with my customers. We hand these out at homeshows, I include them with our estimates ... anything to get them to my customers! I have salesman coming in my office feeding me the lines as well. So I decided to do my OWN research. I studied the statistics. I read the "facts." Then I interviewed my service techs, my installers, my boss. I got the skinny on what REALLY goes on in the field. I got the PRACTICAL opinions and numbers. And I wrote my own articles on information that homeowners can actually USE. I believe that an educated homeowner can make the best decision for their family. So read on, print these and share them, spread the information! If you have a subject you feel is relevant and you would like to see an article here that I've missed, let me know!